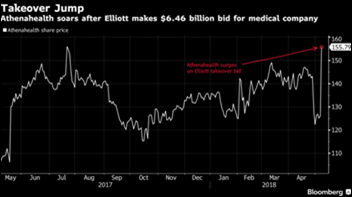 Athenahealth shares spike on yesterday’s news of an unsolicited takeover bid from Elliott Management, which has made several buy-out offers since taking on a 9-percent stake in the company last year. The hedge fund this time around made an all-cash offer of $160 per share for Athenahealth, putting the total value of the transaction between $6.5 and $6.9 billion. Elliott representatives believe they can close the deal in as little as three weeks, after which they plan to take the company private. 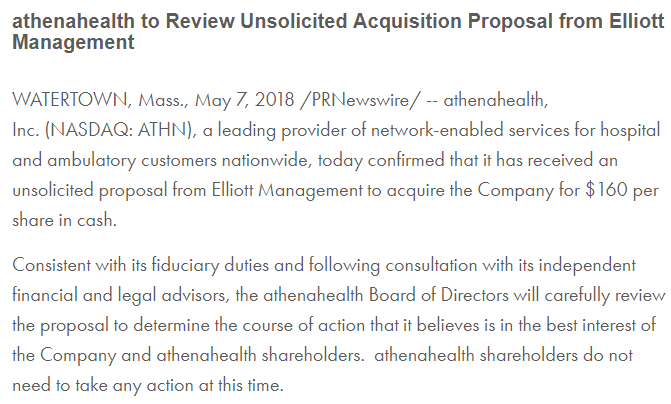 Athenahealth’s Board of Directors responded with a letter to shareholders announcing that they will review the offer. Responses to this week’s question so far run the gamut, from realizing that tantrum-solving skills would come in handy, to going into projects with a more appreciative attitude for “physicians who were not only generous with their time, but also key contributors.” There’s still time to share your experience. May 16 (Wednesday) 1:00 ET. “You Think You Might Want to Be a Consultant?” Sponsor: HIStalk. Presenter: Frank Poggio, CEO/president, The Kelzon Group. Maybe you just got caught in a big re-org and don’t like where things are headed, or, after almost a year of searching for a better opportunity your buddy says, “You’ve got decades of solid experience and you’re a true professional, you should become a healthcare IT consultant.” Now you start thinking, "This could be my ticket to success. I know the healthcare industry and can show people how to do things right. The sky’s the limit!" Not so fast. Consulting offers many advantages, and many pitfalls. This webinar will discuss both the rewards and the risks of moving into a full-time consulting role, as an independent, or part of a large firm. It will present a checklist you can apply to assess whether consulting is a good fit for you, and present the ground work necessary to be a successful consultant. Mobile messaging vendor MPulse Mobile raises $11 million in a Series B round led by SJF Ventures. The company also announced development of AI-based chat bot messaging capabilities. 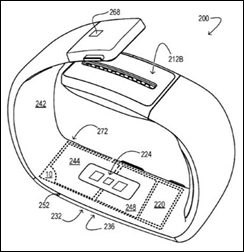 Microsoft patents related to sensors for stress and blood pressure monitoring emerge, suggesting the company may be getting back into wearables. It discontinued its Band fitness tracker in 2016 as smart watches began to overtake trackers in popularity and capabilities. 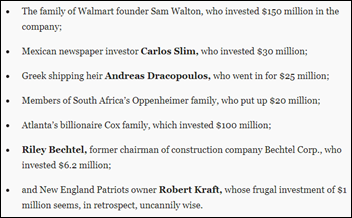 Wall Street Journal Theranos investigator John Carreyrou uncovers a list of high-profile investors who helped the company secure hundreds of millions of dollars in funding. Founder Elizabeth Holmes, who settled with the SEC in March over fraud allegations, has told the last remaining shareholders that the company will be liquidated by August. Former CMS Administrator Andy Slavitt launches Town Hall Ventures to invest in health IT companies focused on serving Medicaid and Medicare populations. Cody Regional Health (WY) selects Plexus Technology Group’s Anesthesia Touch EHR. University of Missouri Health Care will extend its Cerner Millenium system to affiliate Capital Region Medical Center. Kristin Gillen, RN (HonorHealth) joins Bluetree Network as CNIO. 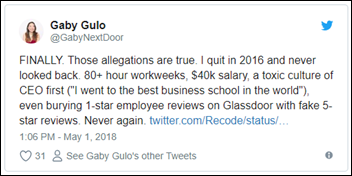 HealthTap’s Board of Directors ousts CEO Ron Gutman after looking into high turnover rates and concerning reports about his abusive conduct. Career CEO Bill Gossman has been tapped to take over the position. Patientco announces availability of its Smart Patient Financial Engagement Platform. 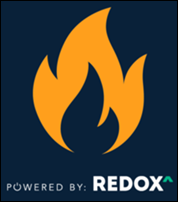 Developers and healthcare organizations can now leverage FHIR for data exchange on the Redox network. Meditech announces GA of its Expanse Web-based EHR in the UK and Ireland. 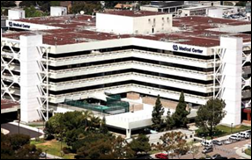 The VA San Diego Healthcare System rolls out LiveData’s PeriOp Manager in its eight ORs. Health Fidelity investor UPMC (PA) implements the company’s HF360 Provider workflow software to identify and close gaps in risk across patient populations. 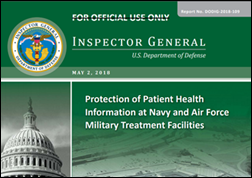 After visiting three Navy facilities and two Air Force facilities, the DoD’s Office of the Inspector General finds glaring disregard for data security across 17 information systems. The laundry list of problems included a lack of multifactor authentication, adequate passwords, system review and assessment procedures, and physical security standards to protect PHI. Excuses included a “lack of resources and guidance, system incompatibility, and vendor limitations.” Resulting HIPAA violations could cost up to $1.5 million annually for each violation. 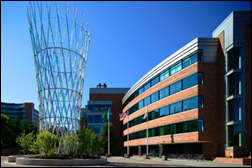 In an effort to help cancer patients avoid the ER, Fred Hutchinson Cancer Research Center (WA) and Microsoft will develop and pilot AI-powered technology to identify and help those patients likely to suffer from severe chemotherapy side effects. The company has also committed $25 million over the next five years to develop AI that will help people with disabilities. 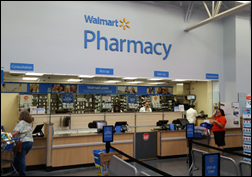 In order to cut down on fraud and abuse, Walmart will require that all opioid prescriptions be filed electronically with its pharmacies by 2020. A Black Book survey of 709 inpatient facility executives finds the majority are open to outsourcing clinical areas of expertise, particularly teleradiology and medical imaging, as they focus already stretched internal resources on the move to value-based care. Surescripts publishes its annual National Progress Report. Aprima opens registration for its user conference August 17-19 in Dallas. Audacious Inquiry achieves EHNAC accreditations recognizing excellence in information security. Bluetree Network will exhibit at the HIMSS Executive Institute Leadership Live Conference May 14-15 in Dallas. The Editorial Board from Biomedical Instrumentation & Technology awards Bernoulli Health a Best Research Paper Award for its “Continuous Surveillance of Sleep Apnea Patients in a Medical-Surgical Unit” paper. Influence Health partners with Sg2 to add strategic planning capabilities to its hospital marketing services. Collective Medical partners with the Florida Hospital Association, giving members access to its real-time, risk-adjusted event notification and care collaboration platform. CompuGroup Medical will exhibit at the AUCH Annual Primary Care Conference May 17-18 in West Valley City, UT. Conduent will exhibit at the National Medicare Advantage Summit May 16-18 in Washington, DC. CoverMyMeds will exhibit at AAACN May 9-12 in Orlando. Culbert hosts its 12th annual employee celebration at Baltimore’s Inner Harbor. The local news highlights Docent Health’s patient experience work at Dignity Health’s Memorial Hospital (CA). The Microsoft Build 2018 Developer Conference showcases Datica’s compliant cloud technology.